A clean, natural source of energy to boost athletic performance on the ketogenic diet. PREWORKOUT FOR THE KETOGENIC DIET: Perfect for those who want energy and performance while on the ketogenic diet, but don’t want all of the garbage that is out there. 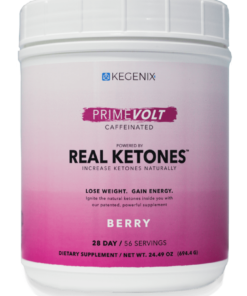 Excellent for boosting ketones for fuel for any type of workout. WHAT YOU NEED FOR PERFORMANCE: Perfect Keto Perform for ketosis pre-workout packs 7.7g BHB, 5g MCT, with BCAA, creatine, L-citrulline, beta alanine, and caffeine from green tea so you can boost your ketone levels and crush your workout. NO FILLERS OR ADDITIVES: Unlike other pre-workouts, Perfect Keto Perform supplement contains NO fillers, corn starch, or fiber additives. This means that our pre-workout has ZERO carbs and ZERO grams of sugar: just pure performance from keto friendly sources. THE ONLY KETO SPORTS DRINK: Perfect Keto Perform keto pre-workout will help you get all of the necessary fuel you need without any energy crashes. Only clean fuel and increased energy and results for those on a ketogenic diet. Each container comes with 15 full-scoop servings of the highest quality combination of keto workout ingredients in a delicious lemon flavor. Perfect Keto Perform keto pre workout powder is the ONLY performance supplement for the ketogenic diet. Unlike other pre-workout products, our product is made with ketosis in mind first. Your body can’t breakdown fat for fuel quick enough in intense or prolonged workouts. Using Perfect Keto Perform will help give your body all it needs to maximize your workouts. 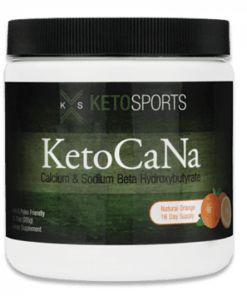 Why A Keto Sports Drink? Most workout supplements are filled with crap and are high in sugar. Perfect Keto Perform supplies a huge amount of BHB and MCT to supply your body with ketones for fuel as well as creatine, BCAA, beta alanine, L-citrulline and caffeine from green tea to power you through any workout while maximizing energy. 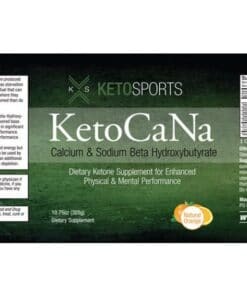 We created this product because we wanted a clean, natural source of energy and athletes to be able to use ketones for fuel while working out. Our clean blend of ingredients means that you’ll be deep into ketosis while maximizing performance. Our keto workout powder travels well and is comes in a delicious lemon flavor. Feel free to use our other products to round our your performance, like collagen for connective tissue building. Each scoop contains 7.7g BHB, 5g MCT, 2g creatine, 2g BCAA (2:1:1), 1.5g beta-alanine, 500mg L-citrulline, and 50mg caffeine from green tea. Mix up 1/2 – 1 scoop with 8-10 ounces of water or your favorite low carb beverage, 15-30 minutes before exercise. If you are working out for more than an hour, use 1/2 scoop per hour.